Waste Deep When a piece of construction equipment breaks free of the ice and collides with the undersea colony, Grey Wikk must save three of his classmates who only moments ago were calling him names. Originally published in Clubhouse magazine in July 2016, Waste Deep is from the galaxy of The Quest for Truth. Grey Wikk is one of the Wikk family's ancestors. Davey and the Mech Davey and the Mech, was inspired by artwork created by artist Caleb Havertape. Caleb's imaginative portrayal of David and Goliath set in the future, played out in Brock's mind and the story around it formed. Firmly rooted in elements of 1 Samuel 17, the story is set into Brock's Quest for Truth galaxy and gives more depth to the larger story playing out in and prior to the events of the Quest for Truth. David and Goliath is Brock's favorite Bible story and was also the focus of his story Showdown with the Shepherd, which was Book 5 in the Imagination Station series. Truthful Test Hundreds of years in the future, humans have spread out across the universe, discovering and settling new worlds. But along the way, they have forgotten their origin. Why has the past been forgotten? What clues could help uncover the mystery of mankind's beginnings? And why does the quest become dangerous? Coming Storm Obbin isn't your average boy, he's a prince of the Blauwe Mensen. What's more he's blue. 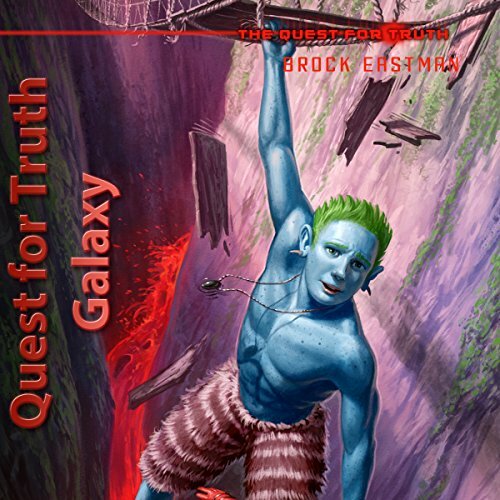 A story from The Quest for Truth series by Brock Eastman, Coming Storm gives listeners a fast paced adventure from the character Obbin. Winning a race against his brother Rylin to the top of a tall Oak tree, he spots a ship falling to Earth. After going against his brother's warnings, Obbin finds himself face to face with the Wikk twins, Mason and Austin, and their ship the Phoenix. When a trade with them goes badly, he nearly falls to his death.